I am a huge advocate for breastfeeding moms and babies. I have now nursed 7 babies and am still in the trenches of breastfeeding. In my opinion, there is nothing that creates a bond between mother and baby quite like breastfeeding. With that said, I know there are times when breastfeeding does not come naturally to moms or life happens and they find themselves needing to supplement for one reason or another. This has been my story lately and it has been a struggle, to be honest. I was the mom who said I would never use formula and my babies didn’t need bottles. I was their personal pacifier! I still feel like that with my youngest baby, who still nurses around the clock. However, recently I found out that I likely need a minor surgery and will need to be asleep for it. I have put it off for awhile, because I was pregnant and then newly breastfeeding. But now that my baby is 6 months old, I can’t keep pushing it off. This pains me, in more ways than one, to be honest. I cried, more than once. But then I got to business. I did my research, as I always do, and was pleasantly surprised to find Enfamil NeuroPro™ formula, which has a fat-protein blend of MFGM and DHA, previously only found in breast milk*. Enfamil NeuroPro™ is the first formula that has an MFGM & DHA blend for brain-building benefits similar to those of breast milk**. MFGM (which stands for Milk Fat Globule Membrane) is a component found in breast milk that helps support cognitive development by containing lipids that are important for brain structure and function. After decades of research on breast milk, Enfamil has developed a formula that has MFGM added as an ingredient, which supports a baby’s brain development similar to the way breast milk does**. I cannot tell you how much relief this gave me when I found out. My baby will still be receiving important nutrition that she needs for proper brain growth and development. I know how crucial it is to support cognitive development in babies so they learn, acquire knowledge and interact with their environment at the proper stages. As a busy mom, I can’t always get to the store…well, let’s be honest…I don’t always want to bring 7 kids to the store. So, I purchased my Enfamil NeuroPro™ and Playtex Baby™ Nurser Bottles with Drop-Ins® Liners online at WalMart and was able to pick it up curbside. So convenient for me! I chose the Playtex Nursers with Drop-Ins® Liners because I obviously wanted a bottle that helped facilitate easy switching between breast and bottle. Playtex Nursers with Drop-Ins are closer to natural breastfeeding than other bottle systems. I am slowly transitioning my baby, and am thankful that I found the right combination for us. I feel comfortable knowing that when I need to go in for the procedure, my baby will still have the nutrition that she needs. And, in the future, I know I always have something to fall back on when I need it. I can’t tell you how reassuring that is for a busy mom! While supplies last, moms can purchase Enfamil® NeuroPro and Nurser with Drop-Ins® Liners at Walmart and save up to $6.50 with Ibotta. To redeem the offer, download the Ibotta app, scan your receipt with both items, and save! You can also join Enfamil Family Beginnings(R) for up to $400 in gifts* and a chance to win a $25,000 Scholarship for your baby! For more Enfamil information, visit enfamil.com or call 1-800-BABY-123 (1-800-222-9123). This is sponsored by Enfamil® Neuro Pro and Playtex Baby™ Nurser with Drop-Ins® Liners. Such a helpful post! I wish I would have had this back during the transition phase. I had to supplement with both of my boys, despite all my pumping efforts. This formula sounds like the perfect nutritious replacement! And kudos to you for nursing 7 babies…wow!!! 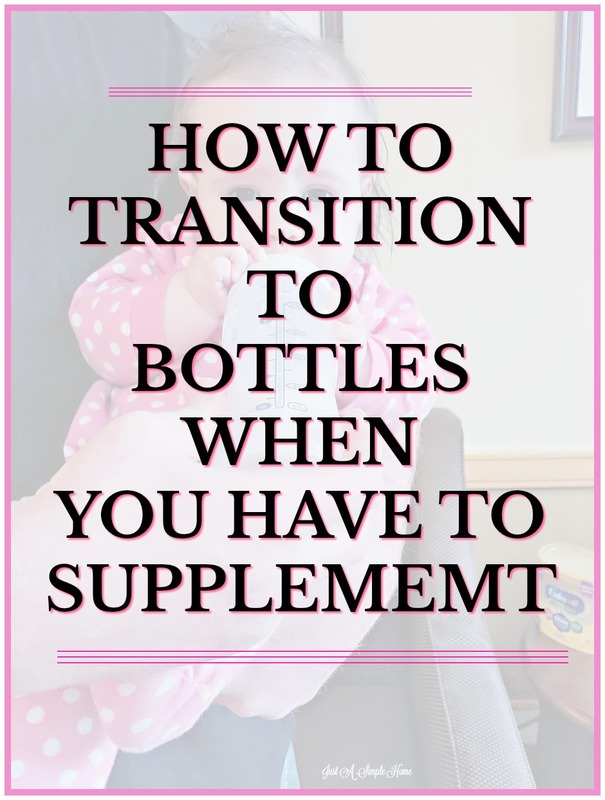 This is such a helpful post, especially for new mamas! I’m so impressed that you’ve nursed 7 babies- superwoman! We currently use Enfamil Neuropro as well, and love it!